Be proud of your flying warriors, America! They’re fighting… as have Americans of every generation… for the freedom of man. Be proud of the planes they fly, America! 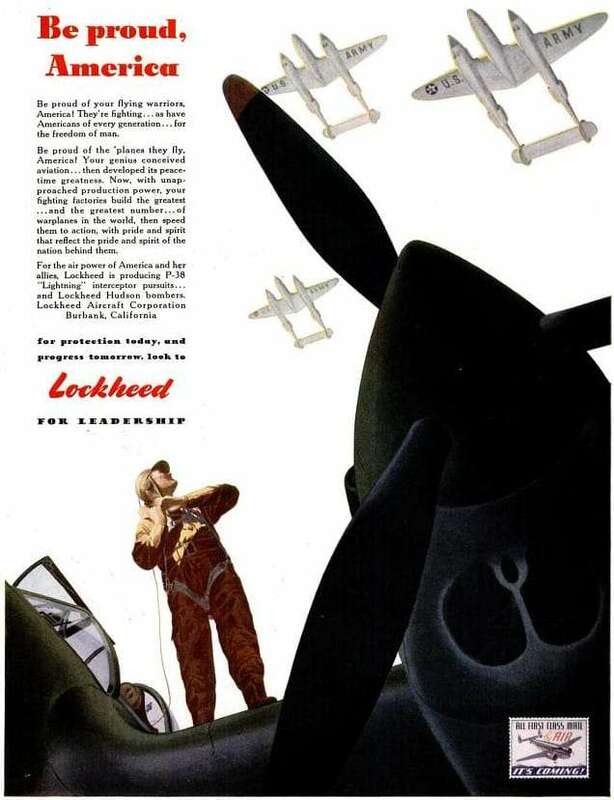 Your genius conceived aviation…then developed its peacetime greatness. Now, with unapproached production power, your fighting factories build the greatest… and the greatest number… of warplanes in the world, then speed them to action, with pride and spirit that reflect the pride and spirit of the nation behind them.